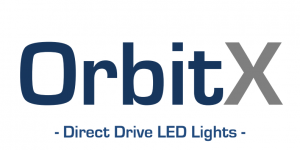 The unique design of OrbitX Direct Drive LED lights utilises high quality a locally developed integrated circuit to minimise component count and places high quality electrolytic capacitors far from heat sources. It surpasses current LED technology by combining longevity, economically viability, quality of light and safety in a single product by replacing the traditional LED drivers or ballasts. The robust OrbitX design achieves a near-unity power factor with a very low flicker index it has an extra- large MOV that absorbs electricity spikes up to 1500V.